The use of the endoscope in the cerebellopontine angle (CPA) has been suggested to minimize cerebellar retraction and reduce the size of the craniotomy. 3D endoscopy combines the benefits of conventional 2D endoscopy with the added benefit of stereoscopic perception, though improved visualization alone does not guarantee improved surgical maneuverability and a better surgical outcome. We propose a new combined dual-port endoscope-assisted pre- and retrosigmoid approach to improve visualization and accessibility of the CPA with shortened distances and increased surgical maneuverability of neurovascular structures. We analyze surgical exposure and maneuverability of this approach and compare it with the surgical microscopic and a conventional single-port endoscope-assisted retrosigmoid approach. This combined pre- and retrosigmoid approach was performed on eight cadaveric heads (16 sides). The endoscopic probe was inserted through the presigmoid surgical port while surgical manipulation was performed through the retrosigmoid corridor. The CPA was divided into three compartments, from medial to lateral, the anteromedial, and the middle and the posterolateral. The microscope provided good visualization of the posterolateral and middle compartments, whereas poor visualization was offered of the anteromedial compartment. The dual-port endoscopic approach dramatically improved visualization and surgical maneuverability of the anteromedial compartments, clivus, and related neurovascular structures. Additionally, the 3D endoscope allowed for a better understanding of the surgical anatomy of the CPA and improved visualization of structures located in the anteromedial compartments towards the midline. This approach allowed for full realization of the benefits of endoscopic-assisted technique by improving surgical access and maneuverability. The authors have no personal financial or institutional interest/conflicts with any of the materials or devices described in this article. The paper by Prof. Bernardo and colleagues follows the clear thinking that uniforms the research of Prof. Bernardo. He is a forerunner and an explorer of new surgical possibilities. The idea which combines the two approaches to perform a 3D endoscopic-assisted surgery is good and is the only way to maneuver with ease in the cerebellopontine angle. The retrolabyrinthine approach, which offers a more straight corridor to the anteromedial compartment of the cerebello pontine angle, allows this possibility. The paper is well documented and the anatomical value is unquestionable. It offers a new vision in the anatomy of the cerebello pontine angle with division into three zones, one of which, the anteromedial, may be less clearly accessible under certain circumstances. However, the surgical applicability remains to be verified and especially what should be established is if this approach really will make the difference. The approach is not so mini-invasive in itself since the retrolab exposure carries some risks on hearing. We perform this procedure combined with the subtemporal approach for tumors of the petroclival area and, occasionally, for acoustic neuromas (the widened retrolabyrinthine approach by Darrouzet et al.—J Neurosurg 86:812–821, 1997), but we had some irreversible loss of hearing when even a small area of the posterior semicircular canal happened to be drilled. Also, when wax is rapidly apposed to seal the defect, the leakage of lymph determines irreversible hearing loss. This happened in one of five of our cases. Also, it should be considered that, when adding the retrolab to the retrosigmoid approach, a good view of the anteromedial compartment of the CP angle can be obtained also using the microscope. In the clinical practice (i.e., neurovascular conflicts or CP angle tumors), the real need of an adjunctive retrolab approach can be questioned since, as a matter of facts, we commonly perform almost any of these surgeries from the retrosigmoid approach, provided that good accessibility is secured (slack cerebellum, correct positioning etc.). These same conditions, however, are also essential to perform an endoscopic approach. We are in greed of learning from this experience how our surgery and especially our results can be improved using this promising tool represented by the 3D endoscope and its astonishing images. In this interesting and innovative paper, a combined dual-port approach, i.e., pre- and retrosigmoid, to access the cerebellopontine angle is reported. In order to increase the visualization and surgical maneuverability in the most deep medial and anterior areas of the CPA, the authors separate the surgical field into two corridors, the first presigmoid to fit the endoscope and the other, the retrosigmoid, to introduce the instruments under microscopic visualization. The idea of a dual-port corridor for the CPA, already reported to unlock other areas via different approaches, such as ventricular neuroendoscopy or endoscopic endonasal surgery (1–3, 5, 6), it is undoubtedly appealing and the images of the present manuscript confirm the real advantages provided by a presigmoid endoscopic view. All the cranial nerves and their relationships with SCA, AICA, and PICA are visualized with the endoscope through the presigmoid approach, with a perspective that results complimentary to that provided by the microscopic retrosigmoid access. One of the limitations of the use of the endoscope through the retrosigmoid approach is that beside the improvements in terms of visualization (4), there is only a minimal gain of surgical maneuverability due to the restricted corridors in between the cranial nerves. The dual-port approach proposed by the authors seems to overcome such limitation opening a new scenario for the management of selected deep-seated CPA lesions. 1. Bergsneider M: Complete microsurgical resection of colloid cysts with a dual-port endoscopic technique. Neurosurgery 60:ONS33-42; discussion ONS42-33, 2007. 2. Bly RA, Su D, Hannaford B, Ferreira M, Jr., Moe KS: Computer modeled multiportal approaches to the skull base. Journal of neurological surgery Part B, Skull base 73:415–423, 2012. 3. Bly RA, Su D, Lendvay TS, Friedman D, Hannaford B, Ferreira M, Moe KS: Multiportal robotic access to the anterior cranial fossa: a surgical and engineering feasibility study. Otolaryngol Head Neck Surg 149:940–946, 2013. 4. Cappabianca P, Cavallo LM, Esposito F, de Divitiis E, Tschabitscher M: Endoscopic examination of the cerebellar pontine angle. Clin Neurol Neurosurg 104:387–391, 2002. 5. Ciporen JN, Moe KS, Ramanathan D, Lopez S, Ledesma E, Rostomily R, Sekhar LN: Multiportal endoscopic approaches to the central skull base: a cadaveric study. World Neurosurg 73:705–712, 2010. 6. Masuda Y, Ishikawa E, Takahashi T, Ihara S, Yamamoto T, Zaboronok A, Matsumura A: Dual-port technique in navigation-guided endoscopic resection for intraparenchymal brain tumor. Surgical Neurology International 3:35, 2012. Bernardo et al. provide a scholarship manuscript based on their experience using the 3D endoscopy combined with the benefits of the conventional 2D endoscopy. The use of the endoscope in the cerebellopontine angle has been suggested to minimize cerebellar retraction and reduce the size of the craniotomy. The combined dual-port endoscope-assisted pre- and retrosigmoid approach to improve visualization and accessibility of the cerebellopontine angle is analyzed in the study based on sophisticated preparation of eight cadaveric heads; it means 16 sides. The images provided are of high value for the reader, and the endoscope is able to visualize structures not seen by the conventional use of the microscope. I suggest the use of this kind of methodology also for microvascular decompression in patients with trigeminal neuralgia. Sometimes, using MVD, one encounters the problem of the visualization of the structures behind the great petrosal vein (Dandy’s vein) and behind the entry zone of the fifth nerve. 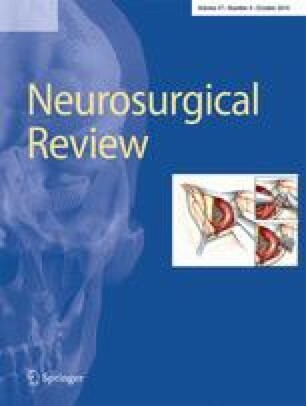 In conclusion, I recommend the authors for their systematic and scholarship work and I am convinced that the described technology will be of value for the neurosurgical community.